Jump to the main section of this post. 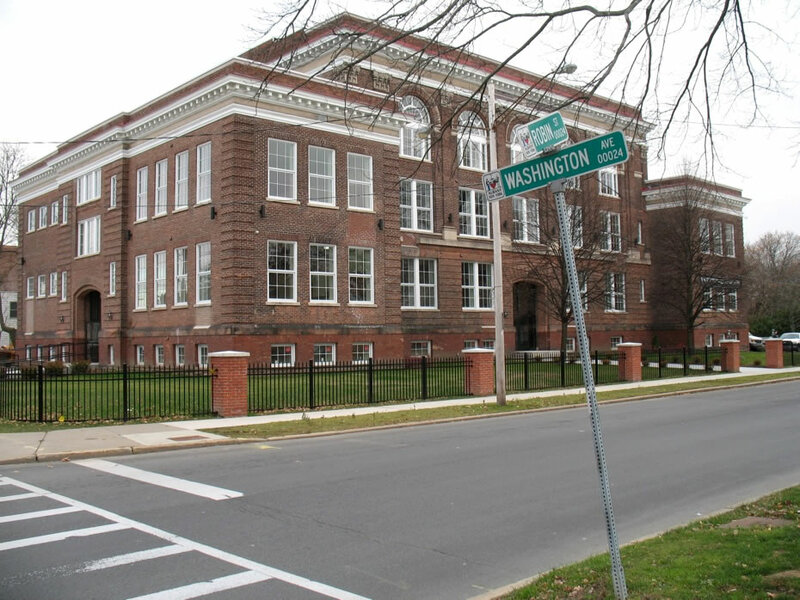 The former school building is on Robin Street between Western and Washington avenues. 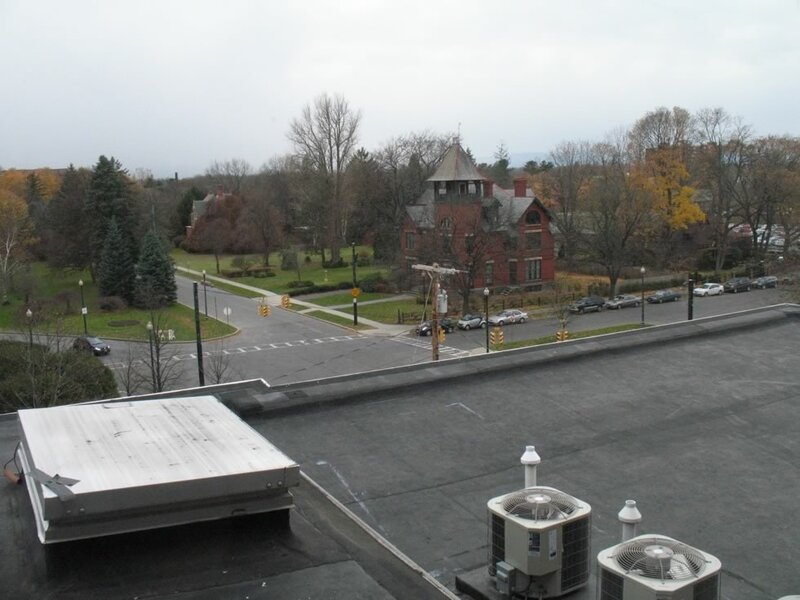 It's right across from Washington Park and the downtown UAlbany campus. The interior of the building doesn't really feel much like it had been a school. 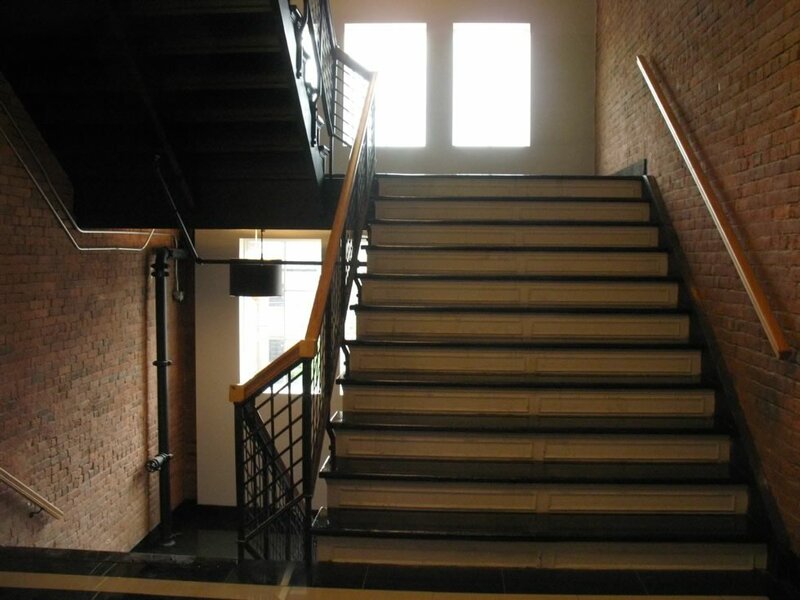 But the stairways do -- they're wide with big landings. 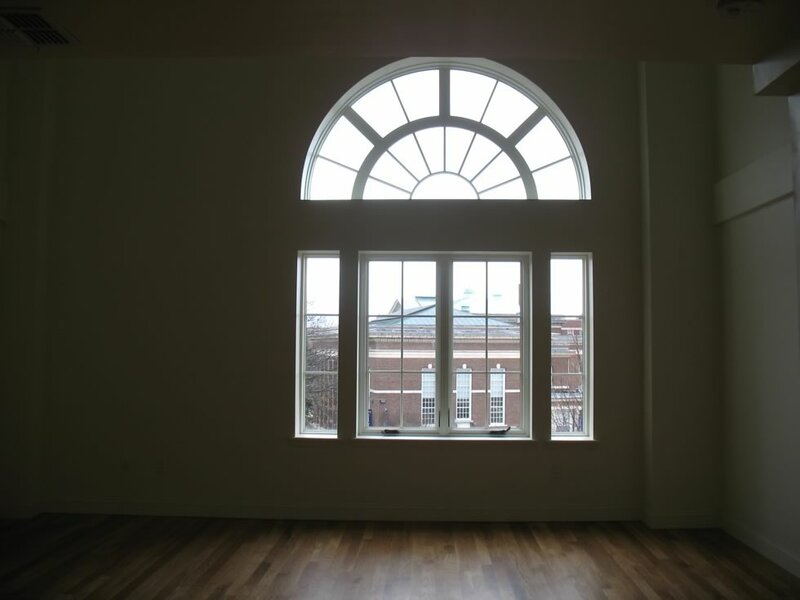 Some the units include these great windows. Gutman says the apartments were carved out of space where the school's gym had been. The units have a stripped down, modern style. It's not super swank, but nice. This unit is a one bedroom loft. View from the loft window facing Western Ave. The corner units have really good light. 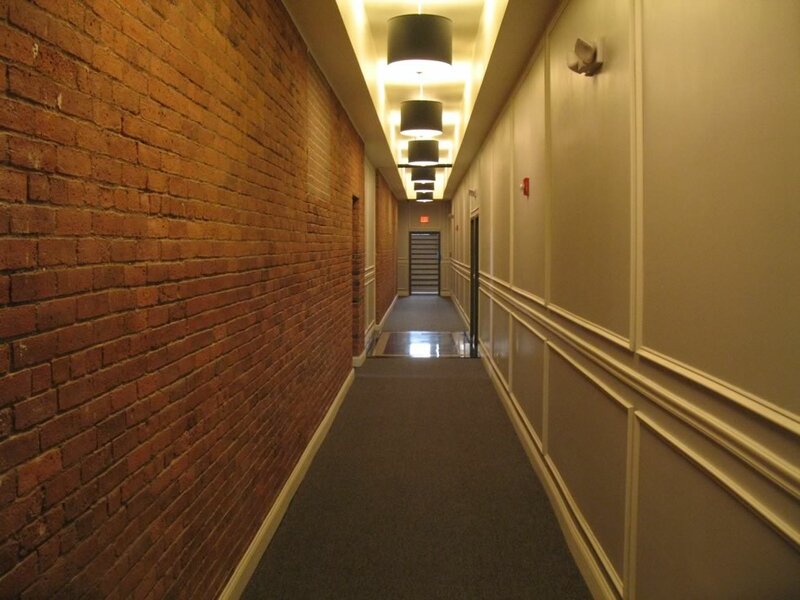 There's exposed brick throughout the building, in the stairways, some of the halls, and many of the units. 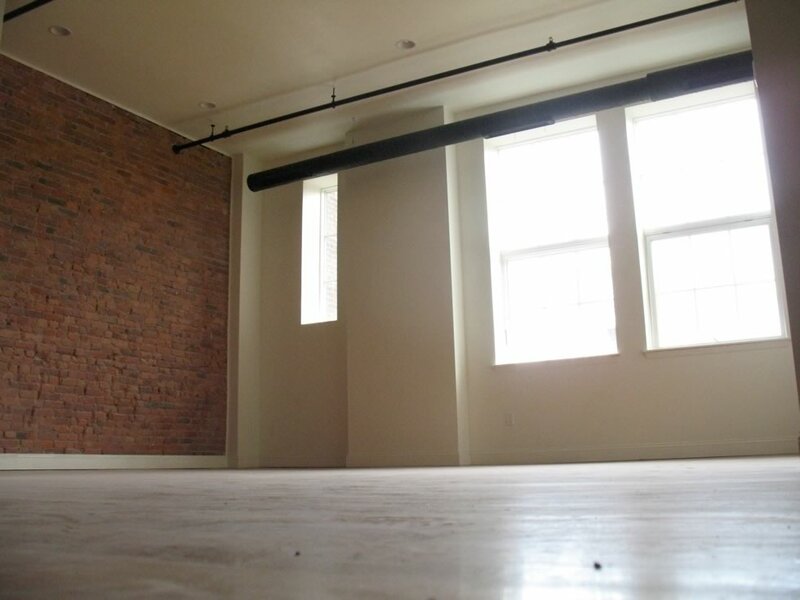 Gutman says this unit includes part of a former hallway -- the exposed brick wall, which had formed the old hallway, separates the kitchen from the living room. A bedroom in that same unit. The basement includes a few more units, a fitness room, and this -- it's part of the old ventilation system for the building. Follow up gawking: the developers for the 27 Western residential conversion project in Albany emailed us recently to let us know the project was almost finished -- and asked if we'd like to have a look. As we mentioned back in August, we're always curious about these sorts of re-purposing projects. 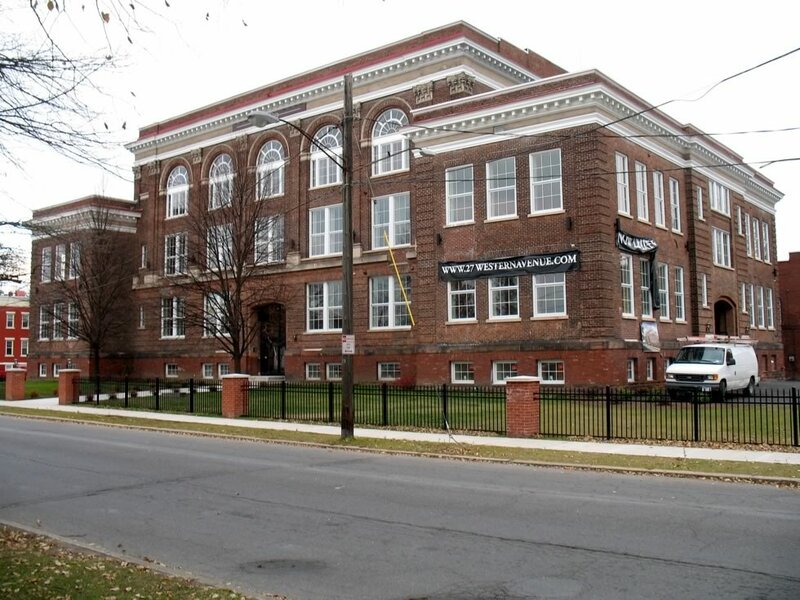 In this case it's a former school building being turned into apartments. A bunch of large-format photos are above -- scroll all the way up for them. Ali Gutman from Fairbank Properties told us yesterday that 7 of the building's 31 units have been leased. She says the building's been getting steady interest, especially from people moving into the area -- some of them relocating here for nanotech-related jobs. Gutman says she expects the building to be fully rented (or close to it) by February. The building's website has floor plans and more details. Leases start December 1. They're currently offering first month -- and if signing before December 1, last month -- free promotions. 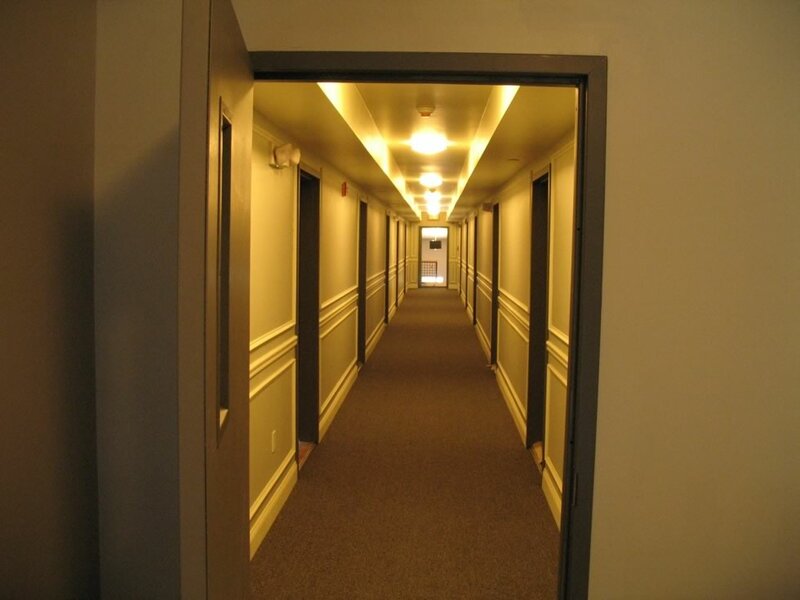 Each unit includes one parking spot, laundry hookups, water, and access to a fitness center. There are no dogs allowed. (Too bad -- the park is right across the street.) Update: And there is no smoking allowed in the building. I am really glad this building was repurposed, and it is a nice location right across from the park. I really like the charm of the converted space. 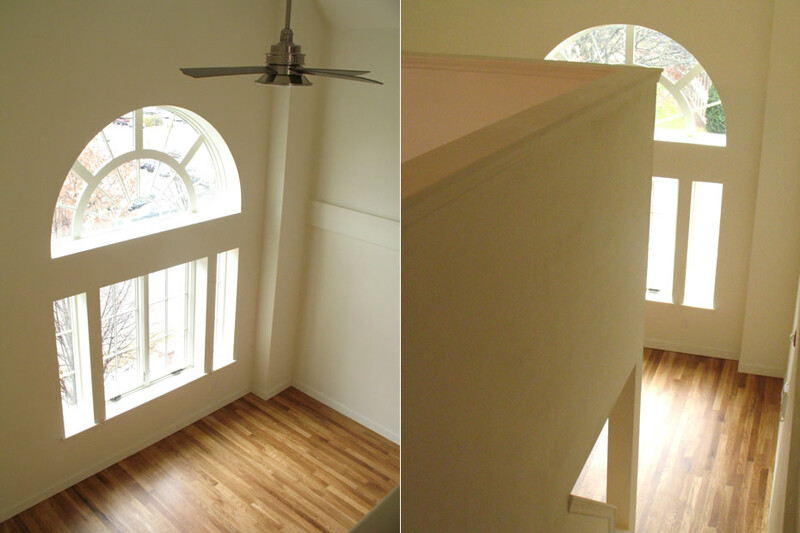 The interior finishes are below what I would expect for those prices however. I didn't like the monochrome paint job on the ceiling, walls, & trim, I was surprised to see the stock solid grey metal door to the unit. I would have liked to see some of the baths to see what they have done there, that would be the most telling.... I don't want to be one of those complainers, I was just disappointed. I commend the developer for working through the city's red tape that makes these projects so difficult and rare. Great to see this project completed and the apartments leased. I'm very sad to see yet another building bordering the park that doesn't allow dogs... but maybe I'm biased because I have a dog. If you are willing to shell out $23,000 a year for a two bedroom apartment, you may as well buy a house. Those prices are far too high for the area. i'm with chris! definitely buy a house if you want to do maintenance and repairs! that's not for this girl, though. i am however bummed about the dog thing. looks like a great place to live. oh well! guess i'll stay in my beautiful 1BR w/ heat and hot water included for $900. it might not be new, but it has "character." Not everyone wants a house. You don't start making money on a house till 5-10 years in plus a lot of people don't want to deal with upkeep etc. Not to mention lots of people don't have 10-15K saved up for down payment and closing costs. I bet these will rent quickly. Prices are far too high, even considering the neighborhood. No dogs allowed is a shame. The units look nice except for that ugly grey door to the hallway. Looks like it belongs in a prison - so out of place next to the contemporary kitchen. I agree the paint 'colors' are super boring, but that's what you get in a rental. It would have been nice to see these as condos. 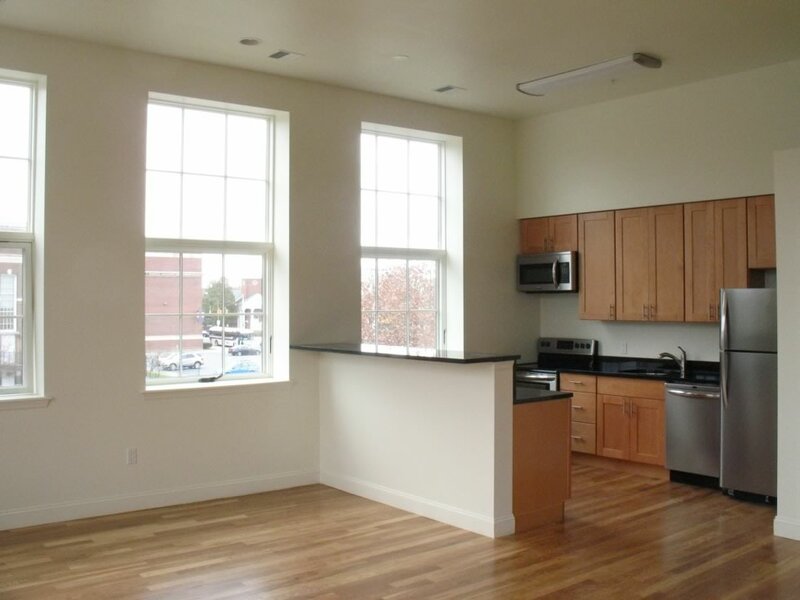 I can't comment on the rent as I have no Albany rental experience to compare it to... but the building is nice, has parking and is in a good location! these are lovely and based on anecdotal evidence I gather at my job (ie daily multiple conversations with a cross section of Capital area residents) tells me that these will rent at full capacity soon. Many folks coming to this area from more metropolitan places won't think twice about the rent (and I'm sure the developer did some due diligence about pricing); I've heard (again, non-scientific research) that both the Alexander apartments (which overlook a highway and a parking lot--ick) and the Harmony Mills apartments--two other spendy apartment buildings--are rented at near or full capacity. but the no dogs thing is a bummer. 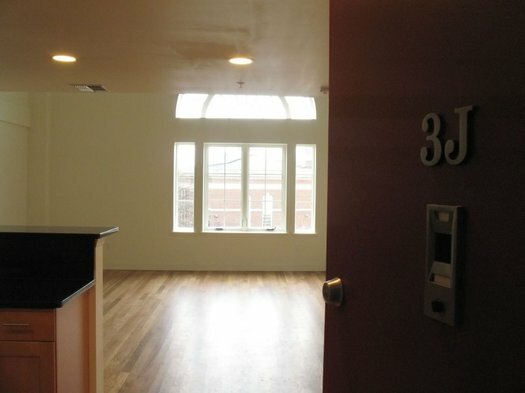 The studio and one-bedroom prices with parking spot are pretty good, especially for that part of downtown. I like the no dog policy. Do they have a no-smoking policy as well? 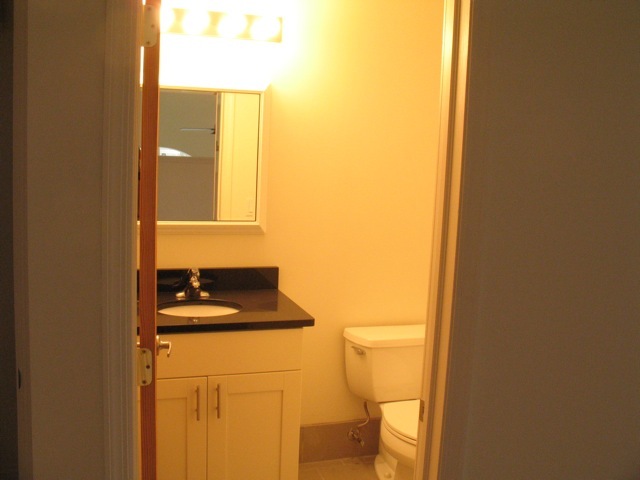 @Albany Landlord: Here's a bad photo of one of the bathrooms. Like the rest of the fixtures and finishes, the bathrooms seemed modern but not super high end or anything. @Paul: About the camera... too true. We were definitely surprised at how high the rent is in the area when we moved here this summer--at least if you want a relatively nice 2BR apartment. So $1900 is a high number, but in this context it's not a shocker. The apartments look great but the rents seem a bit steep....although, the high rents will probably keep the section 8ers out, which is good for the tenants. I'm glad the owner was able to get this project completed (too many often donâ€™t), which brings another property on the tax rolls and more folks walking and spending money downtown. However, major points docked for not allowing dogs, which should be illegal if you rent along the park (just kidding, but my wife and who would have loved to live on the park never could find a dog friendly place and had no issue paying more for it). 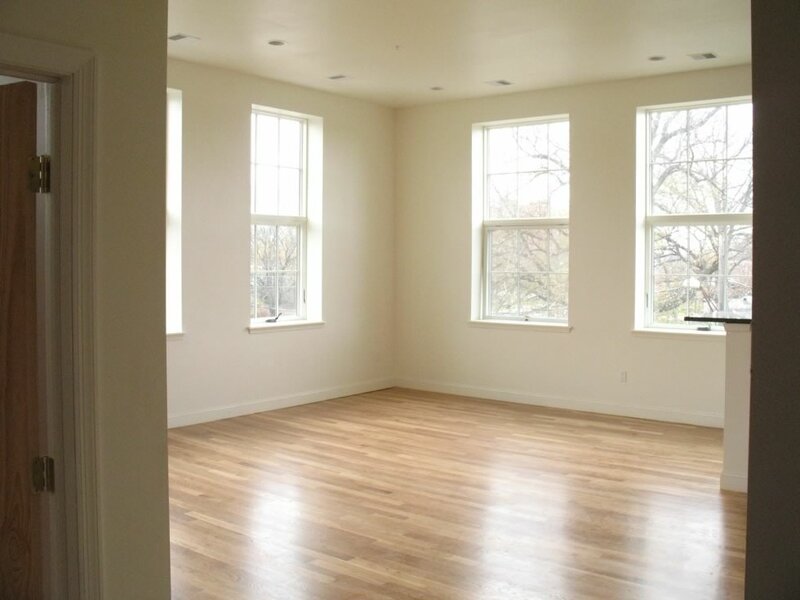 In terms of the paint, I know many aâ€™ landlord who would do great paint jobs, only to see tenants paint over them and eventually go with off-white when re-leasing a unit. Iâ€™m assuming tenants are allowed to repaint these units (for the prices I would hope), so I think itâ€™s a mote point for most. Finally, rents do seem pricey in the area, but when I went to college, I had several friends who would live with four folks (or more) in a 2 bedroom, so a $1,900 rent would be an easy $475. Unfortunately, that is the market landlords have the joy of being in, but a bummer for couples. 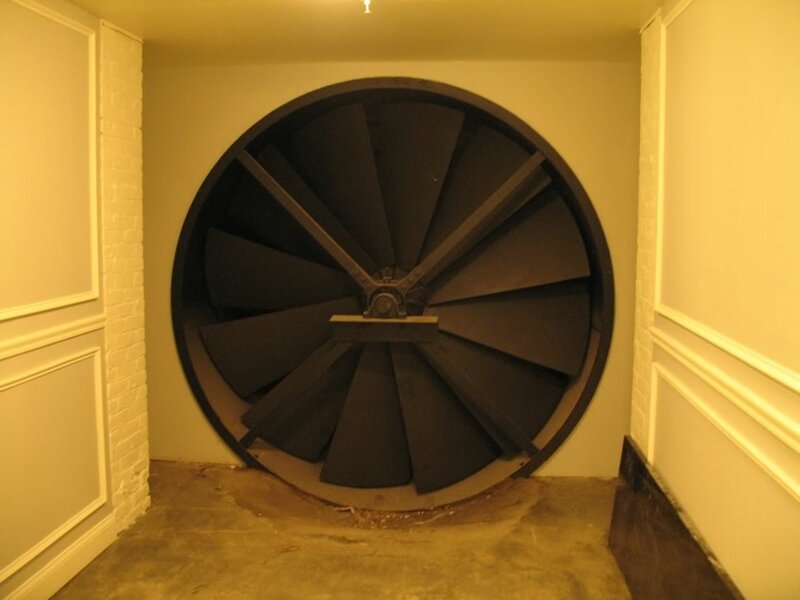 Is it just me, but does that large ventilation fan in the basement remind you of a set piece from every horror or suspense movie ever made? Do you have pictures of the fitness room? I am curious about it. It seems like a benefit of this building opposed to other buildings in the area and may be worth the more expensive rent. in the same email i asked about pets, i asked about painting. the say they allow you to paint, but YOU have to restore it back to white before you move out. Thanks for the bathroom photo - it confirmed my suspicions... THis is the cheapest possible vanity light fixture you can buy at Home Depot. Low end toilet. Not the cheapest vanity you can buy, but not too far away. I love restoring old places and making them beautiful again and it is a disappointment they cheaped out with the fixtures. And the fixtures are definitely out of line with the rent levels. But hey, if they can get the rent, more power to them! Would tenants without cars be allowed to rent out their parking spaces, as many people do in Center Square? It's gorgeous and in a great location, but still pretty pricey and that could defer some of the cost. In the end, market dictates rates. So, while you can bemoan the perceived high rental rates, only occupancy rates will show if you're right. And, as others have said, the anecdotal evidence (e.g. 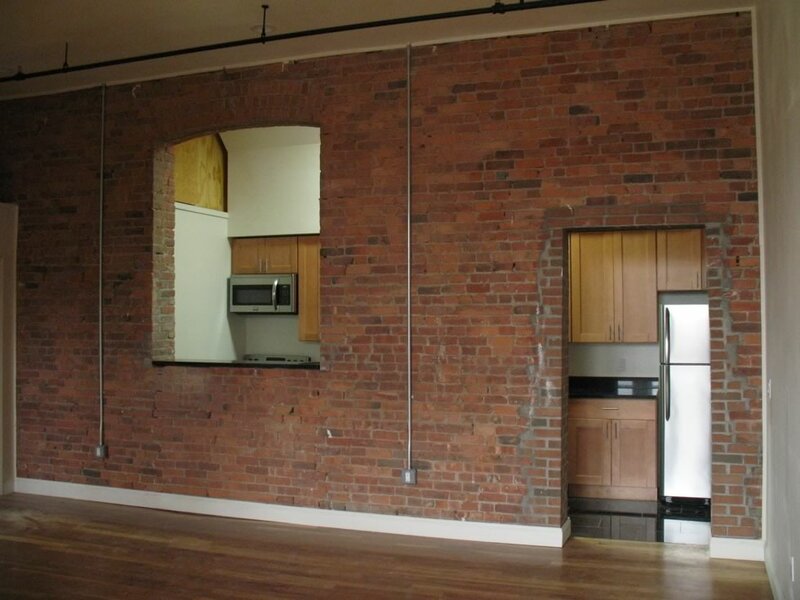 the Alexander and the Gateway Lofts) of places renting at or above these rates tend to prove you wrong. Hoping the landlord will read all comments posted here and put some thought into allowing dogs. I'd be first in line to break my current lease at one of Albany's other "luxury apartment complexes" and move to 27 Western for slightly cheaper rent and close proximity to the park. Food for thought landlord - borrow my dog for a day and you'll have no problem with her living in your beautiful apartments. Though an animal lover myself, I think that if the owners have no difficulty renting as a pet-free building, there is no reason in an investment property to subject one's self to the tremendous potential downside of irresponsible pet-owners. Despite the high prices, I have rented from Fairbank Properties before, through Ali specifically. She, and they, were absolutely fantastic. They took every need and concern of mine into consideration almost immediately. One day I emailed them about a problem in my kitchen, left to get groceries for about an hour and a half, and when I arrived home they had already stopped by and addressed the issue within 2 hours of sending the email. 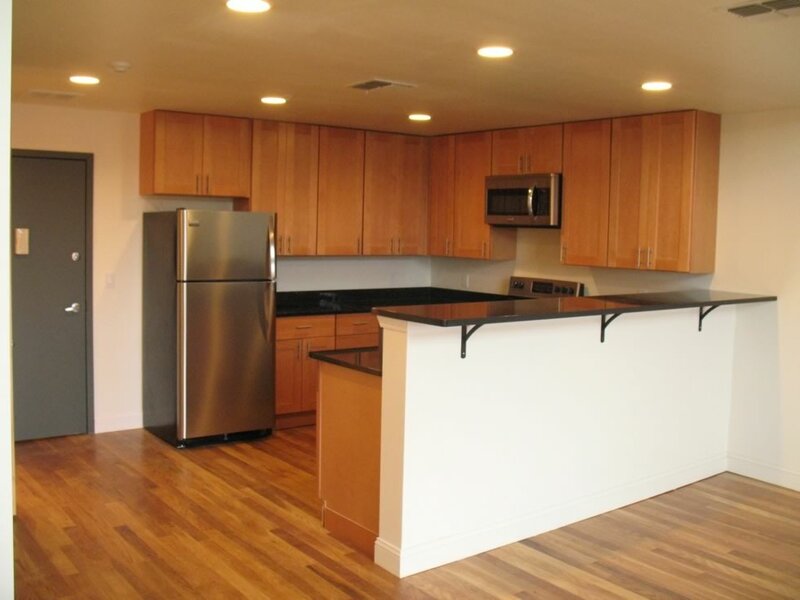 I would totally rent one of these apartments in a heartbeat if I weren't already bound to another lease.